Ever since my year in Paris, I’ve been trying to keep up with all of the fabulous new books set in France (so many books, so little time . . .) and to keep up my efforts to read more French history. If I’ve blogged about the book or created a literary tour, the title will be hyperlinked. 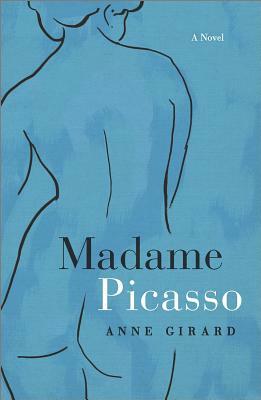 Madame Picasso by Anne Girard (MIRA 2014) – The story of Pablo Picasso and his tragic love affair with Eva Gouel from 1911-1915. Walk in their footsteps with my photo tour from Montmartre to Montparnasse. The Beautiful American by Jeanne Mackin (NAL 2014) – The story of Lee Miller and Man Ray in 1920s-40s Paris. See the sights of 1920s Montparnasse. 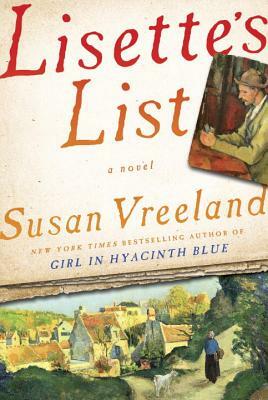 Lisette’s List by Susan Vreeland (Random House 2014) – Another lovely art history novel, this one set in Paris and Roussilion in Provence during the 1930s and 40s. Check out some beautiful photos of Rousilion and Cezanne’s studio in Aix-en-Provence. All The Light We Cannot See by Anthony Doerr (Scribner 2014) A beautifully written World War II novel set in Paris and St. Malo. See some photos from St. Malo, which was seriously damaged by the Allies when they landed in Normandy. 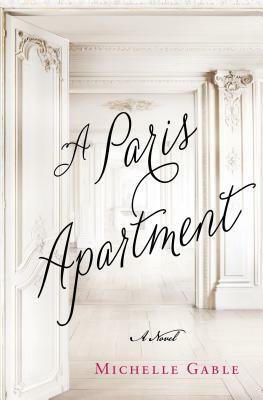 A Paris Apartment by Michelle Gable (St. Martin’s Press 2014) – A novel imagining the life of a woman in a newly discovered portrait by Belle Epoque painter Giovani Boldini. 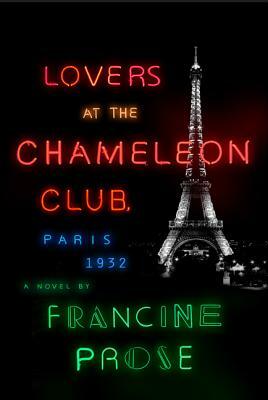 Lovers at the Chameleon Club, Paris 1932 by Francine Prose (Harper 2014) – Based in part on the true story of Violet Morris, a lesbian race car driver and Nazi spy. 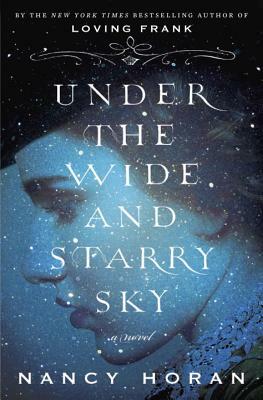 Under the Wide & Starry Sky by Nancy Horan (Ballantine 2014) – The love story between Robert Louis Stevenson and American Fanny van de Grift Osbourne, set in Paris and the art colony of Grez. 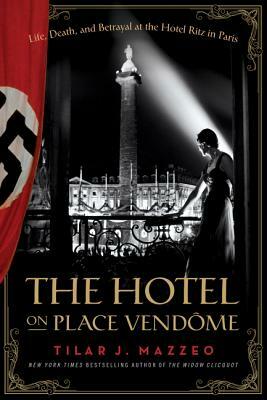 The Hotel on Place Vendome by Tilar J. Mazzeo (Harper 2014) The story of the Ritz Hotel in Paris, from its opening in Belle Epoque Paris to its surprising double-sided role during World War II, to its “liberation” by Hemingway. A great slice of cultural history. 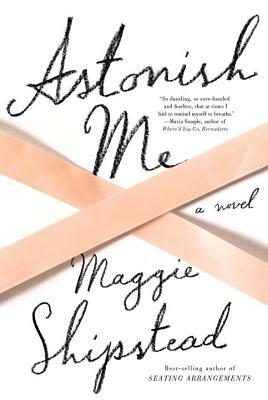 Astonish Me by Maggie Shipstead (Knopf 2014) – A ballet love story with scenes at the Palais Garnier in Paris. 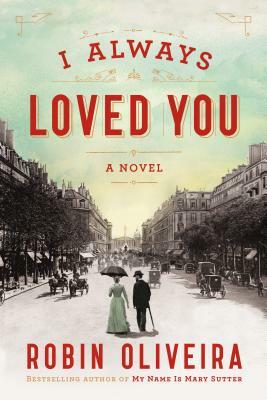 I Always Loved You by Robin Olivera (Viking 2014) – This author imagines the story of Cassatt and Degas as a love story. While I don’t agree, I did enjoy reading about Mary Cassatt’s collaboration with Degas. 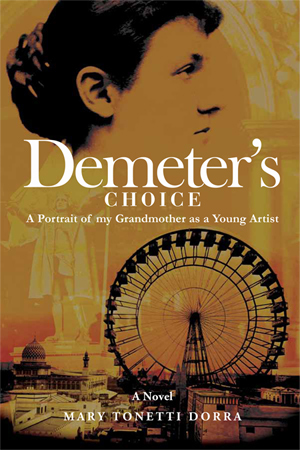 Demeter’s Choice: A Portrait of My Grandmother as a Young Artist by Mary Tonetti Dora (2014) – The story of a young American sculptor named Mary Lawrence Tonetti who came of age in the art studios of New York and Paris in the late 19th century, and who is most famous for her sculpture of Christopher Columbus for the Chicago World’s Fair of 1893. 1. Paris Was Ours by Penelope Rowland -Lovely essays by a wide variety of writers who lived in Paris. 4. Paris My Sweet by Amy Thomas – A pastry blogger’s two years in Paris, with a guide to all of the best boulangeries and patisseries in Paris. Keep this one in your tote bag. 5. My Life in Paris by Julia Child – Julia Child’s years in Paris on rue de L’Université. 6. The Most Beautiful Walk in the World by John Baxter – A bohemian’s view of Paris on foot, told by a long-time expat who lives in the heart of the Left Bank. 7. C’est La Vie by Suzy Gershman – A newly widowed woman, the author of the Born to Shop Paris guides, faces the challenges of moving to Paris and dating older French men. 8. The Sweet Life in Paris by David Lebowitz – Pastry chef and cookbook author begins a sweet but perplexing new life in Paris. Includes recipes and advice on leaving and eating well in Paris. 9. Paris In Love by Eloise James – A romance writer’s year in Paris with her reluctant teenagers, including a guide to her favorite restaurants, shops and small museums. 10. True Pleasures: A Memoir of Women in Paris by Lucinda Holdforth – Smart mid-life memoir about the author’s trip to Paris in which she follows in the footsteps of Paris women she admires, from Madame Pomadour and Josephine Bonaparte to Colette and Edith Wharton. 1. Sarah’s Key by Tatiana de Rosnay (2007) – The fictional story based on the 1942 Vel’ d’Hiv round-up of Jewish families by French authorities who were collaborating with the Nazis. 3. Wine & War by Don and Petie Kladstrup (2001) – The story of the struggle and resistance of French winemaking families in Bordeaux, Burgundy, Champagne and Alsace during Nazi occupation. 4. Americans in Paris: Life and Death Under Nazi Occupation by Charles Glass – Fascinating nonfiction account of the Americans who stayed in Paris during World War II against the American Ambassador’s advice, including Sylvia Beach of Shakespeare & Co.
5. Pictures at an Exhibition by Sara Houghteling – A story of Nazi art looting in WWII Paris told by the son of Jewish art dealer. An exceptionally researched and beautifully executed book about lost paintings, lost love, the art of survival and the power of the imagination. 6. Sleeping with the Enemy: Coco Chanel, Nazi Agent by Hal Vaughan – At best, Chanel would do anything to survive in WWII Paris. At worst, she was an anti-semitic Nazi collaborator and morphine-addicted snob who not only slept with the enemy, but worked as their agent. The evidence suggests the worst. 8. Monuments Men: Allied Heroes, Nazi Thieves and the Greatest Treasure Hunt in History by Robert Edsel – A special force of American and British museum directors, curators, art historians, and others, called the Monuments Men, risked their lives to save the world’s great art from the Nazis. 6. The Sun Also Rises by Ernest Hemingway – A thinly disguised fictional story about a group of heavy drinking expat Americans who live in Paris in the 20s. 7. The Autobiography of Alice B. Toklas by Gertrude Stein – The autobiographical story of Gertrude Stein and her partner Alice B. Toklas, who were leaders of the modernist expat art and literary community in Paris in the 20s and 30s. 8. Paris Was Yesterday (1925-1939) by Janet Flanner – Based on Flanner’s “Letter from Paris” in the New Yorker. 9. Walks in Hemingway’s Paris: A Guide for the Literary Traveler by Noel Riley Fitch – Best walking tour through the Left Bank for literary travelers. 1. The Age of Desire by Jennie Fields – The fictionalized Paris love story between Edith Wharton and Morton Fullerton during the years that Edith rented the Vanderbilt townhouse on rue de Grenelle. Even if this book took place in 1907, I just can’t picture Edith Wharton as a 20th century woman, so I place this book along with the other 19th century historical fiction. 2. Sacré Bleu by Christopher Moore – A bawdy mystery about the Impressionists obsession with the color blue. 3. Claude and Camille by Stephanie Cowell – The tragic love story of Claude Monet and his first wife, model and muse Camille. 4. Leaving Van Gogh by Carol Wallace – A fictionalized account of Van Gogh’s last months in Auvers-sur-Oise, from the point of view of Dr. Gachet, his friend, doctor, model and fellow painter. 5. I am Madame X by Gioia Diliberto – The story of John Singer Sargent’s most famous model, the American beauty Madame Gautreau, and the painting that scandalized Paris. 8. The Unruly Passions of Eugenie R.
1. Madame Tussaud by Michelle Moran – The fictionalized story of Madame Tussaud’s years in Paris as the owner of a Paris wax museum before and during the Revolution. 2. Madame de Pompadour by Nancy Mitford – The enjoyable, anectdotal biography of Louis XV’s famous mistress. 3. Walks Through Napoleon and Josephine’s Paris by Diana Reid Haig – A small guidebook to help you tour in and around Paris in the footsteps of Napoleon and Josephine with recommended shops and restaurants along the way. From the Church of St. Roch on rue Saint-Honoré to Malmaison and Fountainbleu. 4. A Tale of Two Cities by Charles Dickens – Believe it or not, I’d never read this before I got to Paris. 5. The Second Empress by Michelle Moran – The story of Napoleon’s second wife, Marie-Louise of Austria, whom he wed in order to have an heir. 6. Queen of Fashion: What Marie Antoinette Wore to the Revolution by Caroline Weber – Fascinating look at the role of fashion in revolutionary France. 1. The Hare with Amber Eyes by Edmund de Waal – Part family biography, part art history, this is the story of the Euphrussi family collection of Japanese netsukes, small ivory carvings. The story begins in Belle Epoque Paris with the art collector and flaneur Charles Euphrussi and continues through and beyond Nazi occupied Vienna. 10. The Studios of Paris: The Capital of Art in the Late Nineteenth Century by John Miller – An extensive listing, with photographs of many of the studios of artists in Paris from Montmartre to Montparnasse. 11. An Interlude in Giverny by Joyce Henri Robinson and Derrick R. Cartwright – The exhibit catalog for An Interlude in Giverny at the Musée d’Art Américain Giverny in 2001, with essays about the life of Frederick and Mary MacMonnies whose home in Giverny was the center of an American art colony in the late 1890s and early 1990s. 14. The Journal of Marie Bashkirtself – The amazing journal of a Russian aristocrat who came to study painting at Académie Julian in Paris in the 1880s, but who died of tuberculosis at the age of 25. 15. Painting Professionals: Women Artists & the Development of Modern American Art 1870-1930 by Kirsten Swinth – The story of the unsure art training and career paths of American women painters in the U.S. and abroad in the late 19th and early 20th century. Absolutely wonderful blog! I’m in awe! Thank you for the great reads. Merci Beaucoup. J’aime votre liste. The Art of Rebellion, published June 2016 (Rebelight Publishing) follows a young woman as she struggles to make her way in the art world of Paris late in the 19th century. If you’d like a free ecopy of the book, possibly to review on your blog, please let me know. My book has been on the Calgary bestselling list for 3 weeks now and has 6 5-star reviews on Amazon to date. Brenda Leahy, at brendaleahyjohnson@gmail.com.